Disclosure: Country Garden Farm gifted me with samples of their lavender products to provide my honest, personal opinion on my experiences. The opinions expressed here are entirely my own and based completely on my own honest thoughts, perceptions, and experiences. I relish meeting small business owners who take pride in their work and the products they sell. I had the undeniable pleasure of meeting such owners, Lynette and Bill Miller, of Country Garden Farm on my trip last year to visit my daughter in Ellensburg, WA. Country Garden Farm is a family-owned and operated farm in Kittitas Valley just east of the Cascade Mountains in Washington. Over the years, Lynette and Bill’s land has been home to a wide range of both domestic and farm animals, and in recent years their farm has blossomed with a new breed of wildlife. Fields of lavender. It’s a labor of love which has their whole family involved. Once abloom with buds, the family hand-harvests, dries, and extracts the essential oils naturally in order to craft their products. 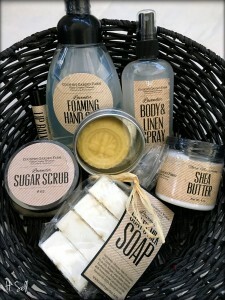 Their secret to consistent, quality products stems from the small batches they harvest. Did you know that lavender has many health benefits? 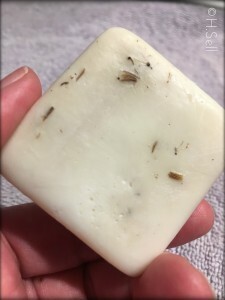 Lavender not only reduces stress, anxiety and restlessness, but is a natural bug repellant, helps heal burns and wounds, skin irritations, inflammation, and more? Lavender and its essential oils have been utilized for centuries in lotions, soaps, shampoos, diffusers, etc. with usage stemming back to ancient Egyptian times with caravans transporting for cosmetic uses. The essential oils extracted from lavender also have excellent medicinal value in salves because it melts at body temperature and can quickly absorb into the skin. Now, let’s chat about Country Garden Farm and their lavender products. Lynette and Bill generously gifted me with a variety of items from their extensive collection so I could give them a try. What a treat! Not only is sampling such fun, but lavender has such a calming effect on me, and of course, the benefits mentioned before. Needless to say, I was excited to see how their products measured up. I quickly found that trying to pare down my faves out of everything I sampled was virtually impossible. Seriously. I delighted in everything I lathered, foamed, and applied. That being said, for purposes of brevity here, I know I have to narrow down my list. So let me walk you through those that I have gravitated towards in my daily life and give you some reasons why they’ve made my everyday usage list. These are in no particular order. 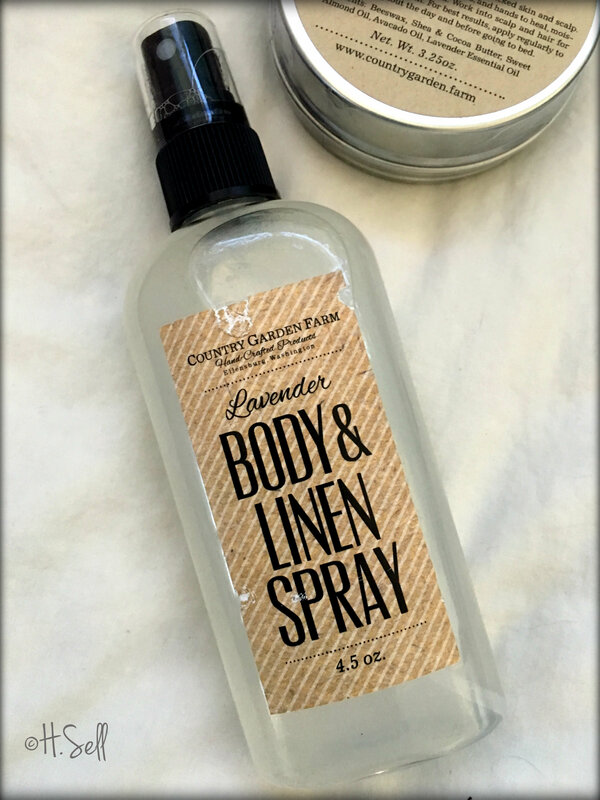 First, their Lavender Body & Linen Spray is one I use all the time. Literally, ALL the time! The spray is infused with lavender essential oils and can be used, not just around your house, but also on your body. Yep! On your body! I loved that when sprayed, it’s a fine mist and doesn’t saturate your skin or fabric, or leave a sticky residue. ICK! I hate sticky-left-behind residues, so a big plus there. 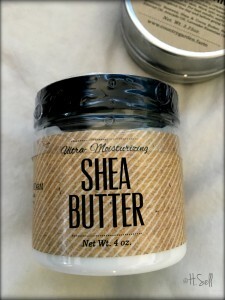 Another secret weapon in my indulgent arsenal is their Lavender Shea Butter lotion. Have mercy! Do you get those dish-pan, dehydrated, pruny hands after washing dishes? Yep, me too. Hate that. Feel like the Crypt Keeper. And I don’t like wearing rubber gloves. So, to resurrect my dry, water-logged hands, I’ve been applying the Shea Butter lotion right after doing the dishes and it’s been a lifesaver. 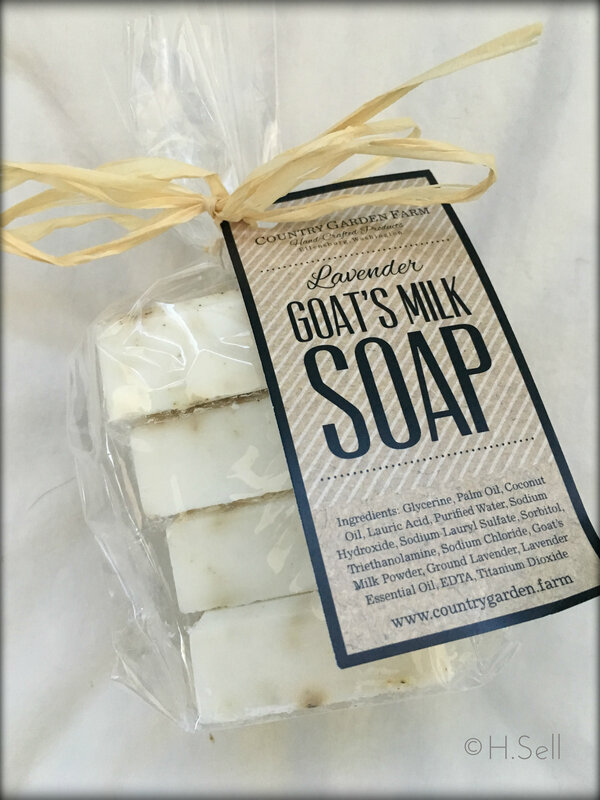 Rich, thick, creamy and absorbs quickly, leaving my hands feeling soft, hydrated and restored. 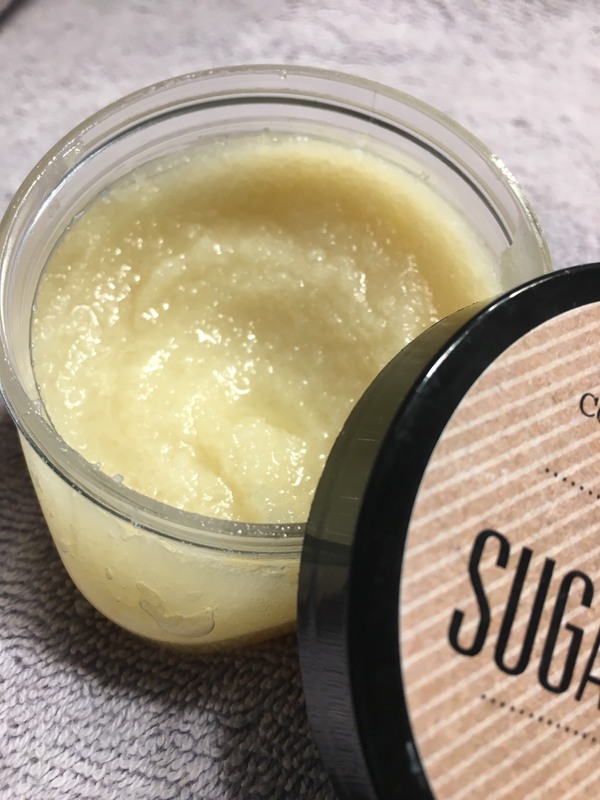 Speaking of luxuriant, let’s talk CGF’s Lavender Sugar Scrub. Divine! The well-blended mixture of fine-grained sugars and oils made applying smooth and gentle, no pulling or rough abrasiveness. I even used a dab on my lips to exfoliate. My skin (and lips) felt so supple afterwards. Because the oils melt at body temperature, I was relieved to find that there wasn’t any lingering oiliness after I rinsed off. Just soft, moisturized skin. Last, but not least, let’s talk soap. 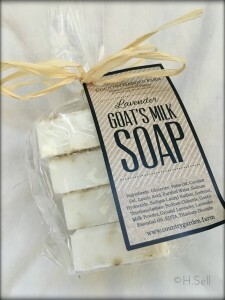 Cleopatra would have thought she had made it to the afterlife cosseting herself with the Lavender Goat Milk body soap. 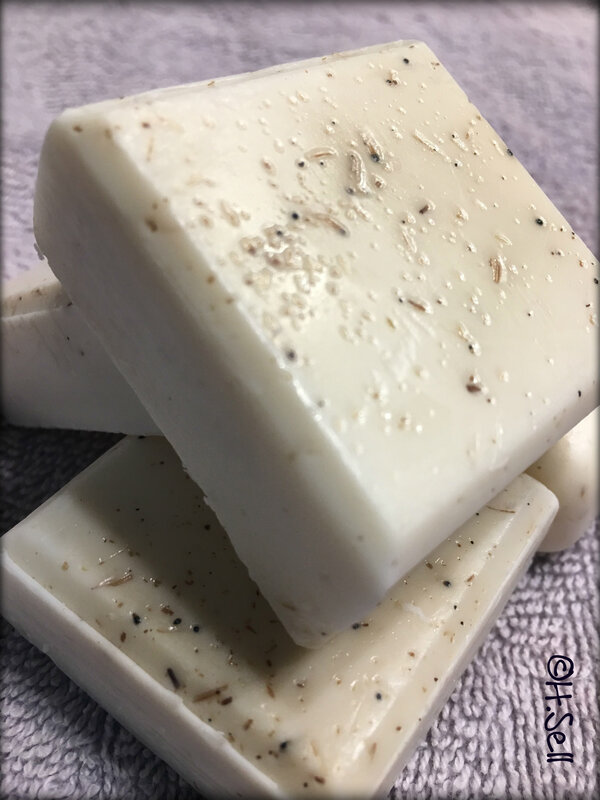 Silky, rich, and ohhhhh…that calming lavender scent. Every time I stepped into the shower and lathered up, I’d just close my eyes, inhale purposefully and deeply to experience that heady rush where my body just relaxes, and I’d feel the stress release from my muscles and my brain. And when I’d open my eyes, just that calmed feeling of “ok-I-got-this”. My final thoughts? Would I purchase and continue using their products? Wholeheartedly, yes! Country Garden Farm didn’t fall short in the quality or consistency of their products. From the hydrating, scented lotions, soaps and Shea butter, to the creamy moisturizing body scrub (SWOON), I wasn’t disappointed. My skin felt silky smooth and moisturized, not heavy or greasy. I’ll definitely be buying more from them. In fact, there are already a few other items on their website I have my eye on. The Car Diffuser Pack to bring that relaxing sensation with me on my travels. The Lavender Hand Sanitizer. Always in need of that. And more of their nourishing espresso scented lip balm. Love that stuff! 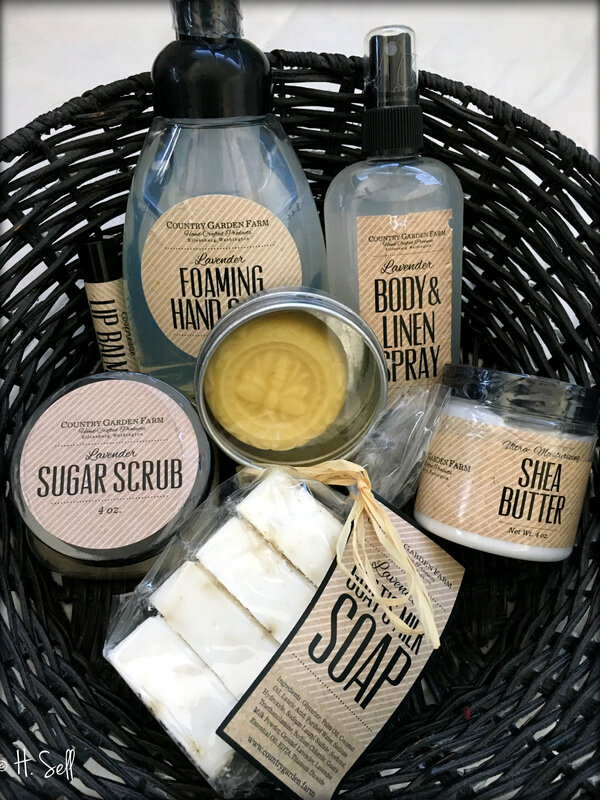 All of these make great gifts for both men and women, and are wonderful ideas for Mother’s Day and Father’s Day just around the corner. Country Garden Farm also has bundled items, gift boxes and trays. 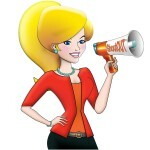 Be sure to use our special discount code ShoutOUT20 at checkout for a 20% discount (Thanks, CGF!) Special event orders are also available. Many thanks to Country Garden Farm for gifting me with your products. I thoroughly enjoyed sampling my way through them. This entry was posted in Blog, To Try and tagged balm, body scrub, Country Garden Farm, discount, essential oils, foaming, gifts, homemade, lavender, lip, lotions, men, promo code, review, salts, ShoutOUT, soap, women. Bookmark the permalink.